"An impressive second novel... by Luana Lewis. [A] tightly written tale of domestic suspense"
with a palpable feeling of dread leaping off every page. A searing debut...and not to be missed. and I genuinely didn't want it to end!" - not one to read while home alone." "A stunning debut psychological thriller." teenager threatens to wreak on one woman's life." "Get ready to wave your social life goodbye once you crack the spine on this one! …taut, tense debut novel." - to weave a compelling, involved, psychologically disturbing story. " "An unflinching account of emotional damage and how hard it can be to uncover the truth "
A gripping thriller perfect for fans of Daughter, The Book of You and C L Taylor’s The Lie. 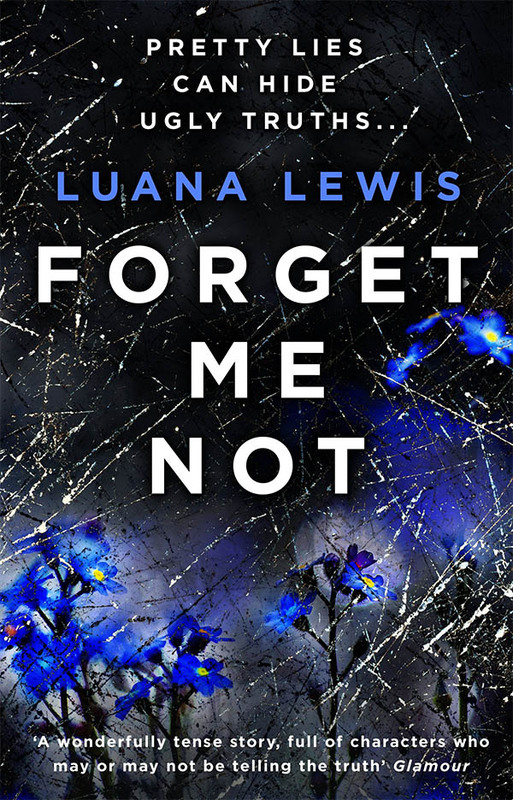 Another impressive second novel is Forget Me Not by Luana Lewis (Corgi, £7.99). This tightly written tale of domestic suspense explores the relationships of three generations of women: grandmother Rose, a working single parent who still feels guilty about her failure to be fulfilled by motherhood; Vivien, the brittle, controlling daughter from whom she is estranged; and Vivien’s own daughter, eight-year-old Lexi. When Vivien is found dead, apparently having killed herself, Rose starts to realise that her daughter’s superficially perfect life – rich, doting husband, beautiful house – does not stand up to scrutiny. In she blunders, trying to be helpful and hoping to forge a connection with her granddaughter, but she is challenged by Vivien’s old friend Chloe, an ex-girlfriend of the widower who seems keen to step into the dead woman’s shoes. Forget Me Not is the type of book that stands or falls on the author’s ability to shift the focus of the reader’s mistrust and dislike from one character to another, and Lewis succeeds brilliantly in this. Should we be worried about fictional violence against women?